Thinking about Notre-Dame, am I alone in not particularly liking that spire? I wish that the fire had not occurred, obviously, but the spire always looked ‘wrong’ to me while I love Gothic architecture. The spire in that form is a mid-nineteenth century addition – or rather, it was. I mourn the glass more than the spire, if I am honest. It may be that they’ll see reason and have a slight rethink on the spire’s design, but I am unsure the glass will be replaced like for like. And yes, my sympathy is for the injured firefighter more than anything. Things (however glorious) are things; people are people. Interesting note on the firefighting protocols in use. The fire department in Paris followed a protocol: Save the people, save the art, save the altar, save what furniture you can, then focus on the structure, in that order. They know what can be rebuilt and what can't. Bits of that thread made me cry. I hope that the person who said the glass is in better shape than was first feared is correct. I agree on both counts, Carinthia. Thanks for that thread, Hedgers - I’m off to the kirk, but I’ll read it all on my return. There are people on there feeling sorry for trees. Now, I like trees I have several, many of which I’ve planted myself, but they aren’t sorry for the potential loss of a vista, or the loveliness of an established avenue, they’re actively sorry for trees. Trees which were planted originally for this very purpose. I do worry about people sometimes. All right, that probably deserves an explanation. In the morning for I am an Evil Birdie. None the wiser - did Collingwood fire acorns at the Danes? I know that you won’t tell me, as you are newly evil, Hedgers. Wellington boots. Or was it scrambled eggs? Think about the Danes rather than Collingwood, I suspect. Tell me it’s not cycle lanes, Fishers. I must retire. Norshussness (?sp) has been largely cured by chicken soup. I am also largely ignoring that enigmatic Bird. The DDD has eaten almost all her day’s ration and taken her rope away upstairs with her; I shall take the hint and go to bed. G’night! largely ignoring that enigmatic Bird. 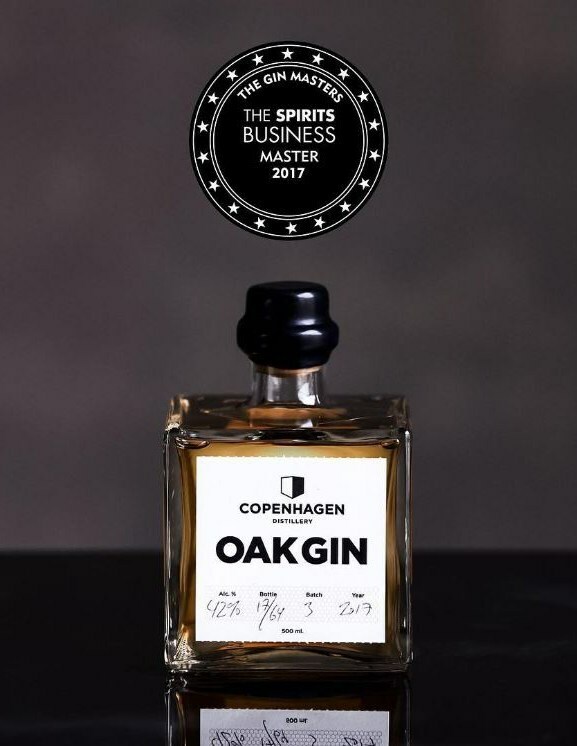 Copenhagen Oak Gin is a unique type of barrel-aged gins. A tribute to the Master Distiller's love for both single malt whisky and gin. Ticks all the boxes, innit. Certainly does, Gus. Thank you. Annual MOTs seem to happen every six months, these days, Carinthia. Good luck with that and for your appointment. This morning I shall be attending a retirement ‘do’ for the lovely Chaplain whom MiL regarded with such fondness. Shan’t be going empty handed, as we have a bottle of tawny port azza gift.